Learn about a biotech company in McMinnville, Oregon that has created a test that changes the way patients are diagnosed. A sample of Precision Analytical's DUTCH Test. Precision Analytical began due to a combination of timing, experience, and ingenuity. Mark Newman leased the building that would become Precision Analytical’s laboratory with Vice President of the company, Andy Tyssen in 2012. Newman came from a background in urine hormone testing and after years of experience in labs that gave him a different perspective on blood, urine, and saliva testing, he was ready to begin a testing lab of his own. 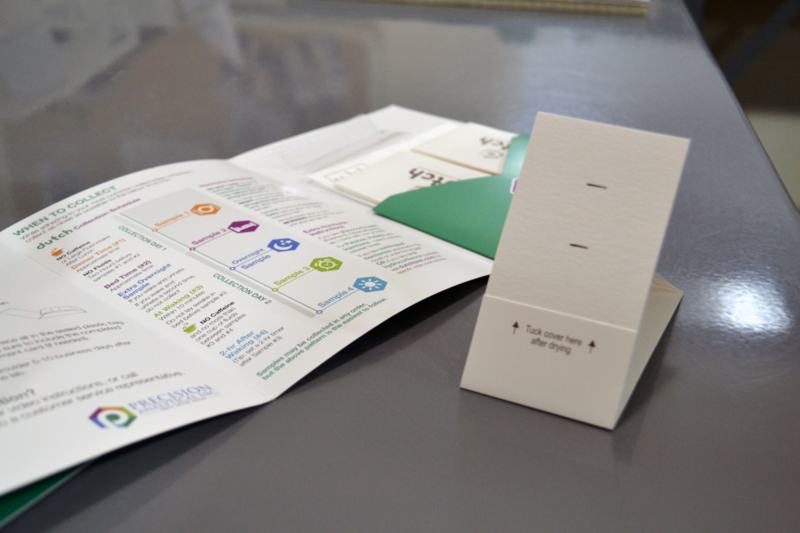 Newman utilized his unique perspective by creating a better tool that would provide a more convenient way to test hormones compared to traditional tests. Newman, with the help of talented physicians, developed the DUTCH test which stands for Dried Urine Test for Comprehensive Hormones. The DUTCH test aims to provide reasons behind a patient's flux in hormones. Understanding these fluxes helps change the way that patients are treated by not just treating a symptom, but providing the necessary information to treat why a symptom is happening. Watch Precision Analytical’s video below to learn a more detailed explanation of how the DUTCH test is different. After the closure of BASi Northwest Labs, Newman knew he had the perfect opportunity. The lab was leased with equipment that was for sale, which Newman says was a huge benefit, and McMinnville, Oregon provided the perfect location with a good community and Newman having family ties in the city. To purchase the lab and get the business going, Newman and Tyssen were able to utilize a loan through one of Business Oregon’s programs. After five years of business, Precision Analytical has grown from two employees to over 35. As Newman says, “We want to focus on doing what we do with excellence.” Growth is not as important to Newman and his team as providing the best possible product to help people with their health. The applications of the DUTCH test are still being discovered. While one of Precision Analytical’s main clients is individuals going through menopause, the test has also shown to be useful for professional athletes, patients with depression, and more. 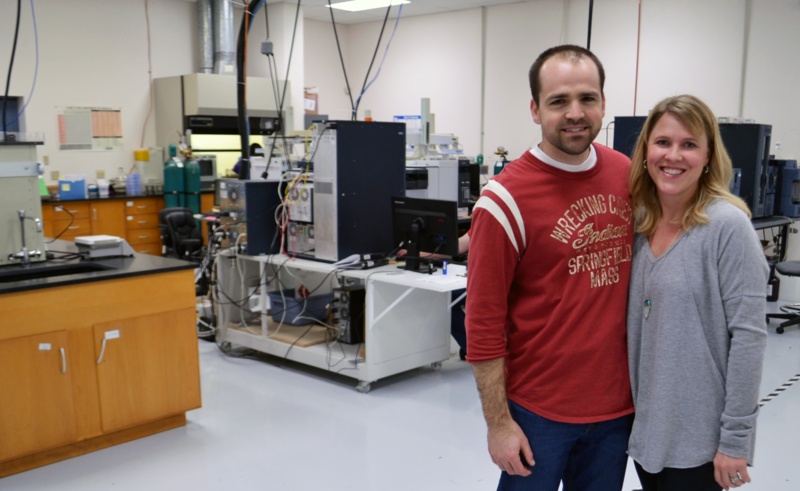 Mark Newman stands with his wife in the Precision Analytical lab. Because the Precision Analytical test tells more about a patient than other hormone tests are able to, Precision Analytical’s staff is specialized in their craft, or as Newman says, “What we do is weird enough that we’re mainly looking for smart people.” When tests are sent to doctors, they are given instructions on how to read the results including video tutorials. The company also employees doctors so that test results can be better described and explained to medical staff.